Maybe that reference is a bit too dated for some of you. Either way, I like this book tag because even though it’s the same “award”, the nominator is asking brand new questions with each new nomination. So I always get to run my mouth in new and exciting ways! And that is half the joy of writing this blog for me. Where else am I going to be able to scream into the abyss of the internet with my bookish thoughts and not be annoying? My girl, Zuky the Bookbum has nominated me this time. Honestly, her book blog is my favourite and I want to be just like her when I grow up. I didn’t read at every available minute until I was in high school and I discovered the Fearless series by Francine Pascal. My mother had bought me the first two in the series for a birthday. I read them within a week and was almost immediately dragging her out to grab the next ones. I think there was over 30 books in the original series, and at one point I had all of them sitting on a shelf in a nice collection. I’m not sure what I ever did with them, probably gave them away to a used book store during a move or something. 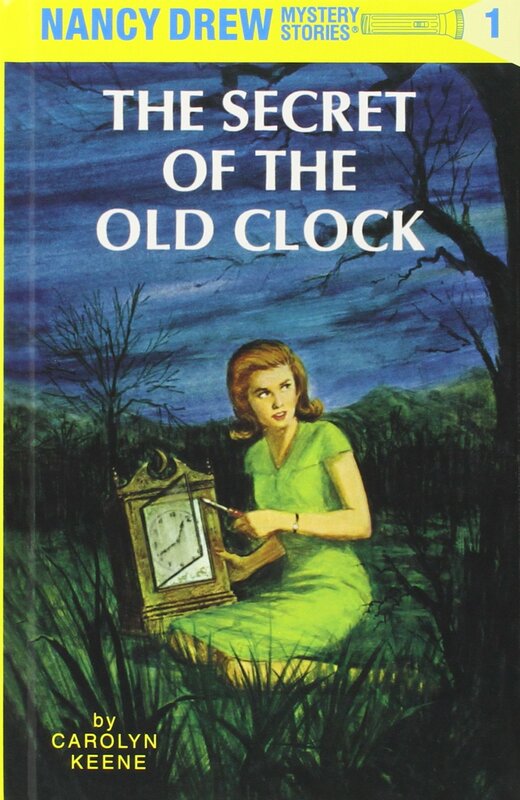 But it’s been nearly a couple decades and I still remember that series as the first thing that turned me into someone who had to read all the time. Mystery/thriller/horror. I am addicted to the puzzle, the suspense, the adrenaline rush of crazy events. I am fascinated with the psychological side of doing horrific actions, and I like facing the things that terrify me and being apart of good triumphing over evil. Plus, gore is fun. I work for a telecommunications company in the business engineering department. I could totally bore you with information about blueprints and technicians and laying cable in the ground, but I won’t because I don’t want to do work even when I’m at work, let alone talk about it afterwards. This is my boy Finnegan. He is 1.5 years old and a ginger Cavalier King Charles Spaniel crossed with a Toy Poodle. He is a velcro-dog, meaning he never leaves your side. He’s super affectionate and has boundless amounts of energy that he won’t do anything with unless you do it with him. Sometimes it’s annoying when you can’t read a book without his face in your face, but you get over it quickly because he’s the cutest and happiest little puppers you will ever meet. And my girl in the back, Tiny Monster. She’s 7 years old, and is just a black long-haired cat but she’s beautiful and cuddly, and independent with a bit of an attitude. She did not react very well to us getting a puppy because she likes to be the Ruler of Everything, but she’s slowly getting over it. She also likes to climb into any open bag or box, even if you’re, say, in the middle of making your lunch for work. My mother’s macaroni and cheese casserole, with lobster and scallops on the side, and a bag of kettle chips. If there were zero calories in these things I would be so skinny, you guys. Dave Grohl. He is a humble, sweet, funny, inclusive and soooo smart, but also happens to be the only rock god that matters anymore. 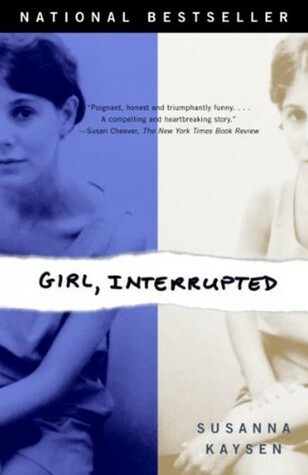 The only book I’ve ever re-read is Girl, Interrupted by Susanna Kaysen. This book was my bible in high school. At this point though, I have SO MANY THINGS to read, I don’t have the time to be going back to things I’ve already finished. I have to keep going forward if I’m ever going to get through everything I add to my TBR on a daily basis. There are just too many amazing writers out there. I haven’t travelled much, unfortunately. I have a whole list of places I want to go. But of the places I’ve been, Disney World and Universal Studios was the most fun I’ve ever had. I was a kid at the time, but I daydream of going back with my husband, as an adult, and getting to take it all in again from this new perspective. Also, Nova Scotia felt like a place where I could connect to myself in a completely unobstructed way; to feel more connected to the earth and my heritage. I’d have to go with fruit. I don’t know what I would do if I couldn’t eat pineapple and grapes. It would be a dark and depressing world. And by world, I mean lunch. That I super-duper disliked? EASY. Tie. The Last Mrs. Parrish or When the Serpent Bites. Click the links to be taken to my rant-y reviews. I haven’t seen any of the Marvel/Avengers movies. I might have seen Thor and Iron Man, but that was when they first came out and there’s been like 100 movies since then. I liked the first ones I saw, but I just can’t keep up with releases or keep them straight in watch order. I don’t even know where I would start if I wanted to get involved. It’s too complicated for someone who is only mildly interested in the whole universe thing. So I just don’t even pay attention when a new one comes out at this point. I didn’t nominate anyone the last time this came around, so I will now, just not 11 people. That feels like too much. If you could have any fictional character come to life, who would you choose? What popular book do you actually hate? What is the scariest book you’ve ever read and why? Who would you want to play you in a movie about your life so far? Posted on August 2, 2018 January 25, 2019 by Krystin RachelPosted in Book Tag, BookishTagged Book Blog, Book Blogger, Book Review, Book Tag, Books, Crime Fiction, Horror, Mystery, psychological suspense, Review, suspense, Thriller. Yes! So alike! I’m allergic to cats as well, but I suffer through with a Costco sized box of allergy pills lol. I want your last meal! That sounds so amazing! Right?! Who knows, it might be all the cheese in the casserole that actually kills me lol.